Accolades are not new to Jennifer Star. She graduated with First Class Honours from Macquarie University, represented Australia in Judo and achieved a bronze medal in the 2005 Youth Olympics, was named one of Australia’s 100 Brightest Young Minds in 2007 and won the 2012 NSW Young Australian of the Year. This year she was declared a winner of Medal of the Order of Australia (OAM). This last award, bestowed on Australia Day 2019, was given for her contributions to education. Jennifer’s OAM citation commends her decade and over of work in the education sector supporting teachers to improve the quality of education for children in India, Bangladesh and Afghanistan. Never would have Jennifer imagined when she travelled to India that one day her life would be so involved with education. She was studying to become an archaeologist, and though her father was a teacher, she herself was not inclined towards teaching. 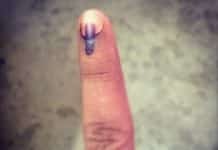 Until India happened. The reality of life in India changed her world view. Simple resources like classrooms, desks and books, taken for granted by students in Australia, were non-existent. Jennifer was appalled at the difference in the educational facilities but realised the exponential impact a single teacher could make on many lives. She returned home to Australia from her travels and decided to train to be a teacher. Jennifer started Tara Ed in 2008 to improve the quality of education in India by training teachers. Starting with one school, 12 teachers and 400 children, Tara Ed aimed to improve the prospects of 20,000 children, 200 teachers and 20 schools by 2020. Now ten years on, this innovative organisation has trained over 600 teachers across the three countries of India, Bangladesh and Afghanistan, and impacted the lives of 18,200 children. And counting. 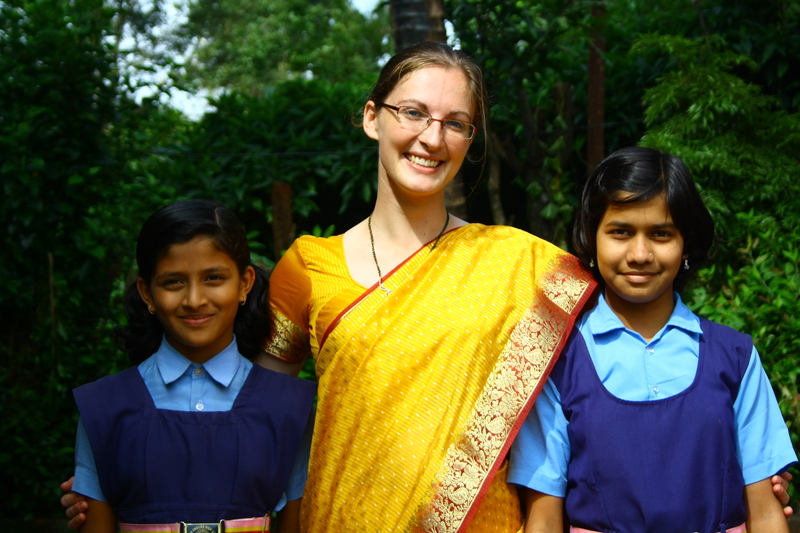 Jennifer returned to India after training as a teacher and has been living in New Delhi for the past nine years. She is very much at home in India now, comfortably navigating the cultural diversity of the country. “I think I am more comfortable in India than Australia!” she declares. While Tara Ed works predominantly in Maharashtra and Karnataka, Jennifer has also worked in schools in Tamil Nadu, Telangana, Madhya Pradesh, Haryana, Uttar Pradesh, Himachal Pradesh, Rajasthan and Delhi. “As I am based in Delhi, I speak passable Hindi and have a few words of Marathi, Bengali and Kannada,” says Jennifer, at ease in the Indian saree and salwar-kameez attire too. Though a 100% volunteer-based organisation, Tara Ed has been successful because of the passion of volunteer teachers who have over the years put in over 35,000 hours in training local teachers. Its programs bring Australian teachers and pre-service teachers to India on a four-week immersion program in an Indian school. 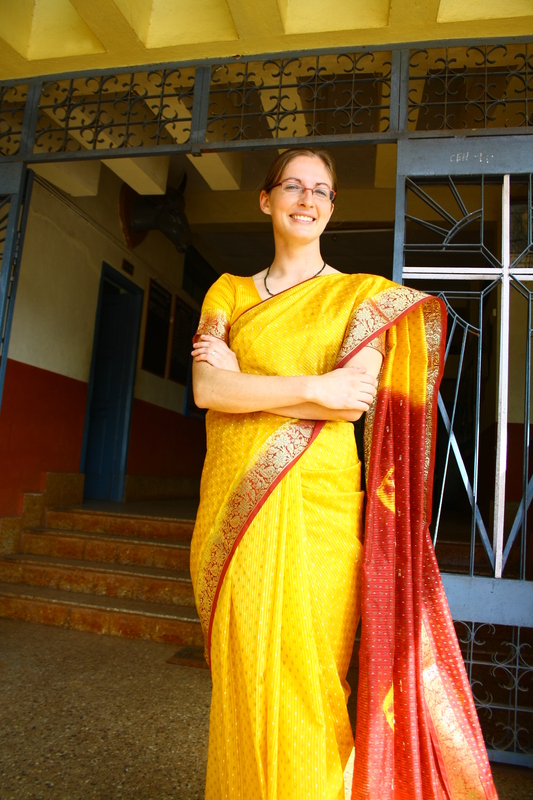 Jennifer explains that over the four-week period, each Australian teacher is paired with an Indian teacher. They collaborate with each other to complete an action research project. “The collaborative nature of the program means there is great learning for both the Indian and Australian teacher, and the friendship often continues after the actual program finishes,” Jennifer observes. “In fact, the Tara.Ed Teacher Tour program often starts a relationship with India that continues throughout their career. 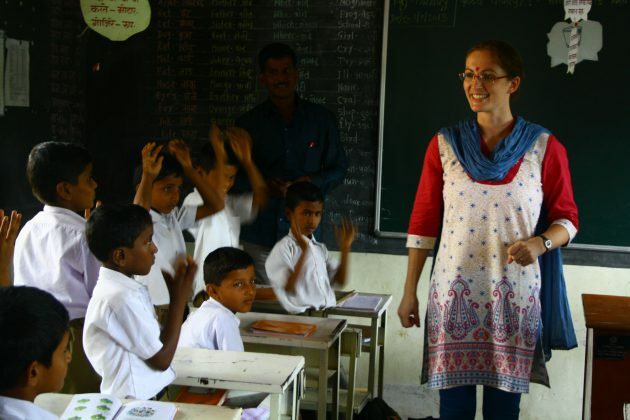 Australian teachers have returned to India to travel or volunteer, they teach their students in Australia about India and generally have become great advocates for India and its people,” she adds. This mentoring model has worked so well that Tara.Ed has now created an online platform to train, support and empower returned refugees in Afghanistan to provide education for the next generation and help rebuild communities. While Australian teachers cannot physically travel to these conflict zones, they volunteer their time online to mentor an Afghani teacher over a period of 6 months. Jennifer is excited about this newest project empowering teachers in war-torn Afghanistan to implement micro-teaching innovations in the classroom. “So far we have trained 46 teachers, who have gone on to teach 5650 students in Afghanistan who otherwise wouldn’t have access to education,” she says with justifiable pride. Teaching is now the subject of Jennifer’s PhD, investigating how teacher training and professional learning programs can be improved to develop high quality teachers that can cater to diverse classrooms. “Much of what I learn through my research is channelled back into Tara Ed’s teacher training programs to ensure that everything we do is evidence based, best practice,” she says. Founded in 2007, Atma is an NGO that helps other NGOs excel with a hands-on approach in creating sustained growth and success. Hayley observed the stark realities of schools in Mumbai trying to proffer an education to vulnerable sections of society with little resources. However, instead of being overwhelmed, Hayley used her anger and anguish to channelise her energies to set about creating Atma, an organisation that supports those who support others, namely the educational institutions working at grassroots, to deliver quality education. She saw an urgent need for capacity building across such organisations and instead of reinventing the wheel she decided to be the oil in the wheel that helps it run smoothly over bumpy paths. Atma’s programs have since supported thousands of children and young adults through school, health and nutrition programs, night schools and kindergartens and a skills centre in Dharavi, Mumbai’s biggest slum. All this and more has been achieved by partnering with over sixty NGOs who impact the lives of over 16,00,000 children. Over 400 volunteers from more than 25 countries have been a part of the Atma Volunteer Program, helping NGOs and enterprises in Mumbai and Pune to grow and achieve more than they could have by themselves alone. Hayley understands that systemic challenges that face the educational NGOs cannot be dealt with overnight or single-handedly. She surmised that with proper support, these educators could widen their outreach and their impact. “After all, they are educators, not strategic planners or fund raisers,” says Hayley. She describes Atma as an “education accelerator”; hastening and multiplying the impacts that educators alone could possibly have on those who need them most. “I was so humbled by the people who work so tirelessly on the ground, and these were usually women,” says Hayley, recollecting the genesis of Atma. The mission of accelerating the goals of Atma itself meant that Hayley has to often travel back and forth between India and Australia. Over the past 12 years, Atma has grown manifold. Besides a physical presence in Mumbai and Pune, it has now expanded to reach across multiple states within India, and across countries, with its online open source resources and virtual support offering. “The more we help others, the more we know how to help better,” says Hayley happily. How does the Atma model actually work? Atma helps organisations evaluate where they are at and make a plan moving forward. This evaluation model covers areas relating to the organisation’s governance, how they communicate their work externally, and a range of other key factors that could take them to the next level of service. “The difference is Atma’s hands-on relationship with organisations and this could be from a minimum of one year to up to three years,” explains Hayley. “We want to help organisations grow at a pace they want to but we want to also push them towards excellence, to reach out and do more”. 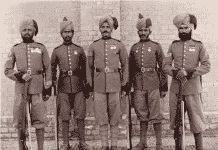 A team of professionals now run the organisation in India. “My work is now leading Atma Australia. I work to raise awareness and to raise funds to support Atma’s work in India,” says Hayley who balances this with her job as Executive Director Programs for Practera, delivering experiential learning programs. A recent grant from the Department of Foreign Affairs and Trade to run a pilot for employability skills technology in India means another opportunity to visit India. Hayley looks forward to such opportunities to engage with and visit India. “My involvement with the Australia India Youth Dialogue since many years helps me connect to India even back here in Australia,” says Hayley, whose second home is now India. 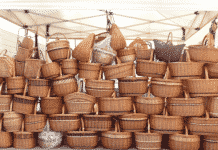 Hayley says that Atma’s phenomenal growth from small beginnings has been organic. It is her passion for her beliefs that has created ripple effects and has brought people to work with Atma tirelessly to achieve their goals. However, there is no resting on laurels for this young lady. Humbled by the acknowledgement of her work through the OAM, she is also starkly aware of the unfinished work ahead. “There is always more to do,” says Hayley ready to take on more challenges. Previous articleWhy the beef with just beef?